Push | Rebranding Barnie's Coffee and Tea Co.
Over the past several years, Barnie’s had seen its share erode with its customers. 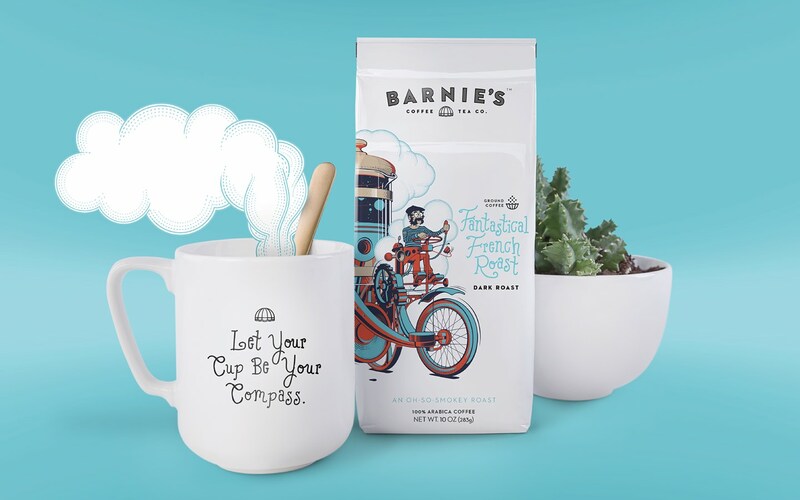 While other coffee companies were making inroads into this new coffee culture, Barnie’s was struggling to stay relevant both to its core customer and the supermarket buyers who decided whether or not to stock the brand on shelves. 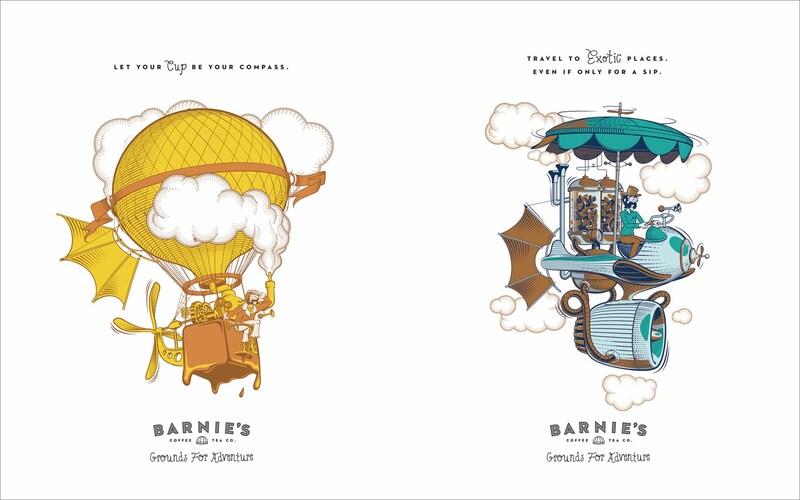 Through primary research, we saw there was an opportunity for a complete revamp of Barnie’s packaging in both design and production. Research also told us that millennials had a fondness for the stories their parents read to them as children—stories of fantasy and adventure. Whimsy, adventure and a little steampunk allowed us to create an illustrative style that not only told an engaging story, but also allowed us to segment the different flavors with their own distinct look. Using color, imagination and various flying machines, we created Grounds For Adventure. 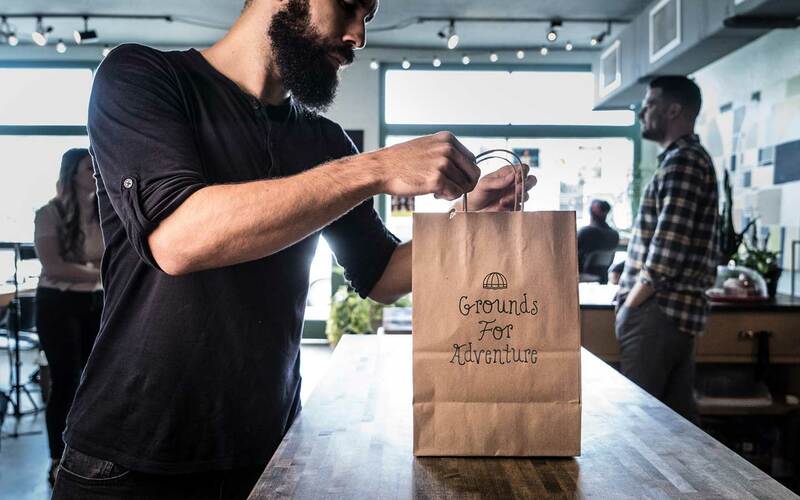 We spent countless hours in various supermarkets looking not just at coffee packaging, but at other well-designed brands that seemed to differentiate themselves on the shelf. According to the sales team at Barnie’s, turns of the new packaging have increased from 3.9 to 5.6.